Have you ever had an orangette? It’s a delicious little candy—a sugared orange peel coated in luscious chocolate. There’s a reason this classic French treat has been around for generations. Putting chocolate and orange together just works. Is it the way the acidity of the fresh orange plays off the richness of the chocolate? We’re not sure, but the combination is a classic. Chocolate and orange are also a traditional flavor choice for holiday desserts and treats. As you may know, some families still enjoy putting oranges in the toe of stockings, a tradition that goes back to the time when oranges were very expensive. But others now give “chocolate oranges”—an “orange” made out of orange-flavored chocolate! Yum. 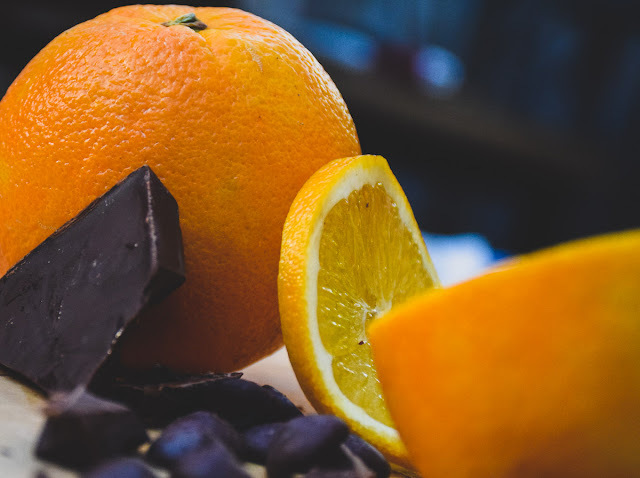 Are you a chocolate lover who also happens to adore fresh Florida oranges? We’ve got a delectable list of recipe possibilities on this theme, from the super-simple to the delightfully elaborate. Try some out, and savor this exotic yet time-honored combination today. It doesn’t get much simpler than this—and this treat is pretty healthy too! It’s mostly fruit, with just a bit of delectable chocolate. Still, we think you’ll find it feels decadent. 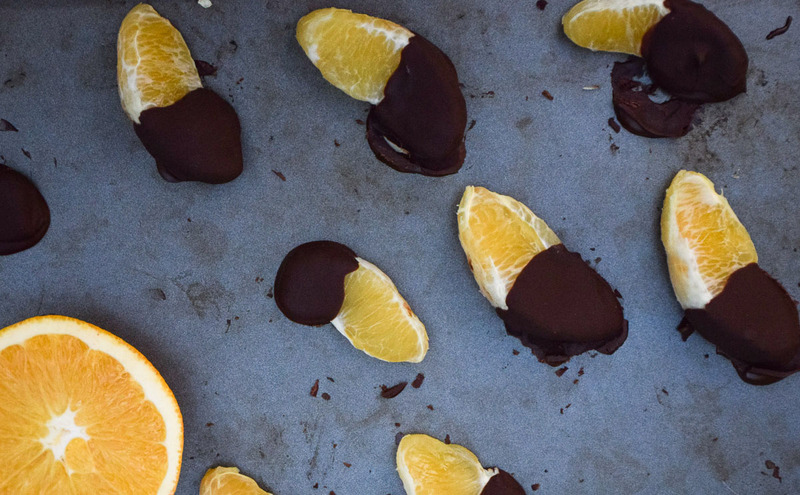 To make these, you just melt chocolate with coconut oil (that helps provide a hard coating) dip the oranges in, and wait. The creator of this cheesecake notes that she was inspired by the holiday “chocolate oranges” mentioned in the introduction to this blog. This cheesecake looks absolutely luscious. I actually prefer my desserts a little on the “less sweet” side—which is why treats like babka are absolutely perfect for me. This particular chocolate and orange recipe is involved and elaborate…we won’t lie. But look at the beautiful results. Did you know that it’s really easy to make high-end truffles at home? Now that I have armed you with this possible dangerous information, go ahead and make these orange-chocolate babies, and see if you can bring yourself to give them as gifts. Chocolate mousse is one of those recipes that impresses everyone who doesn’t know how easy it is to make. This version is made especially elegant by the addition of orange. 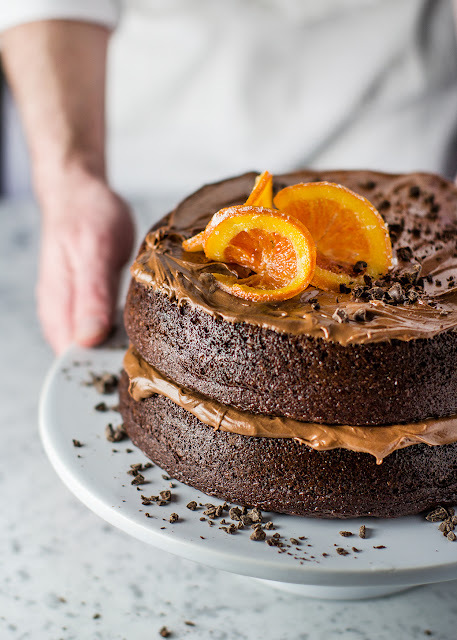 Incredible chocolate cake recipe and photo courtesy of Jonathan Stiers. For some people, cake is the best dessert, and chocolate cake is the ultimate. If you’re one of these people, may I suggest this twist on an old favorite? Some cocktails are definitely dessert—and this is one of those. It’s a decadent combination of chocolate and orange liqueurs, vodka, and fresh orange juice. Don’t forget to garnish with a fresh wedge of Florida orange. Finally, orangettes! These aren’t as easy as orange slices dipped in chocolate—but they last much longer, and make a really beautiful and impressive gift. They’re actually pretty frugal to make, too. To make orangette, you slice and boil orange rind, simmer them in sugar water, roll the orange rinds in sugar, then dip the ends in melted chocolate.